Find your style in a bucket of paint. This garden―inspired by the color blue―provides a restful, welcoming spot for friends and pets to gather. Accidents happen. In this case, it was serendipitous genius. A bench needed painting, the homeowner used what she had on hand, and voilà--a style was born. 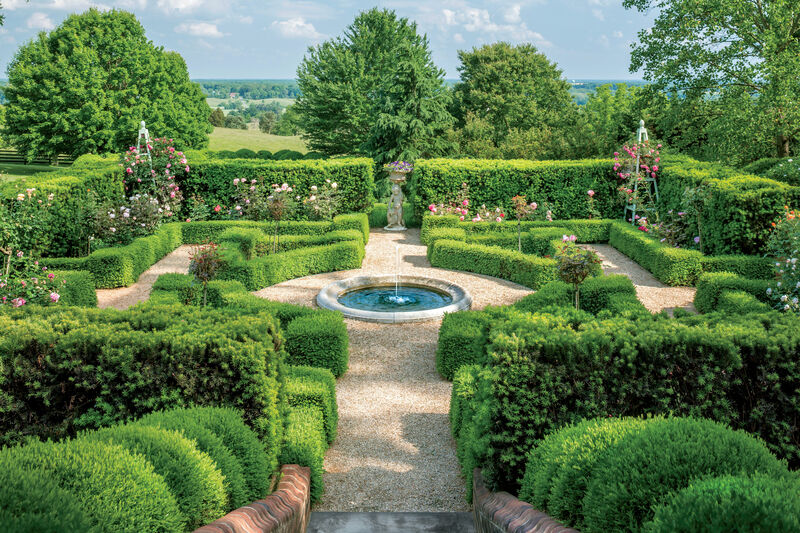 Many of us search for years to find our own personal garden style but never seem to get it quite right. Perhaps it's because we try too hard. We focus our efforts on creating spaces that please others rather than ourselves or switch gears midstream before our Eden sees fruition. 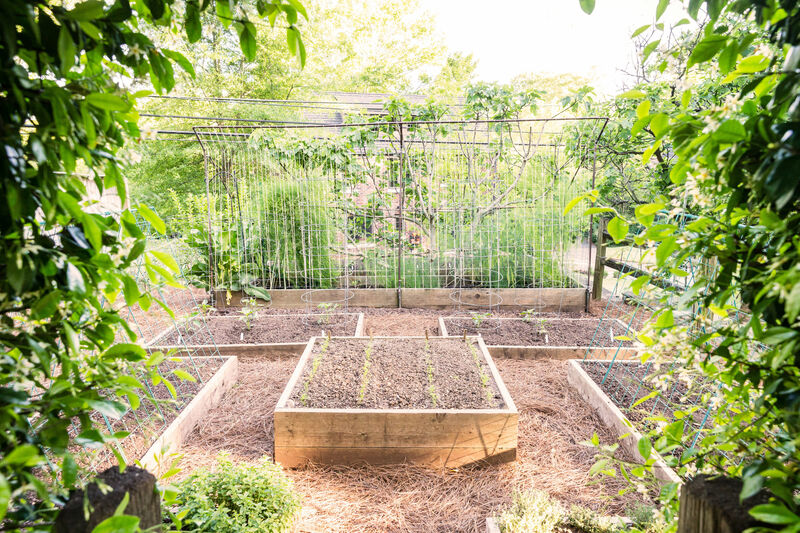 "Blue has always been my favorite color, but I had never thought about making it the basis for my garden," says Verla Ledlow. After the Loxley, Alabama, native finished painting her bench, she painted a pot and then another. To her surprise, the garden she had always wanted began to emerge. "I based all of my decisions on the color blue, and the act of making choices became a lot easier," says the seasoned gardener. Here are her guidelines for success. Left: Boston fern never looked so good--its pot simply rests atop this oversize urn. Start with what you love most. 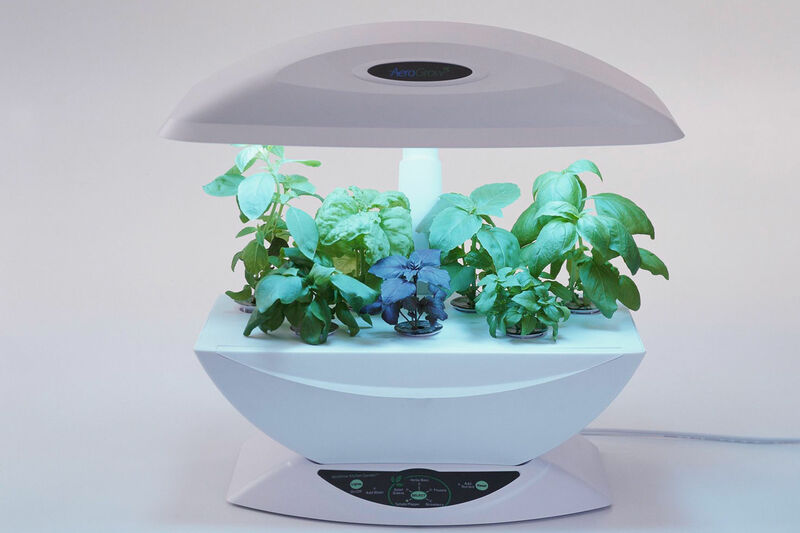 Is it a plant, a color, an existing feature on your property? Pick just one, and forgo trends. Turn to what you've been drawn to for as long as you can remember. 2. Create unity with repetition. Echo your theme in various forms throughout the garden. 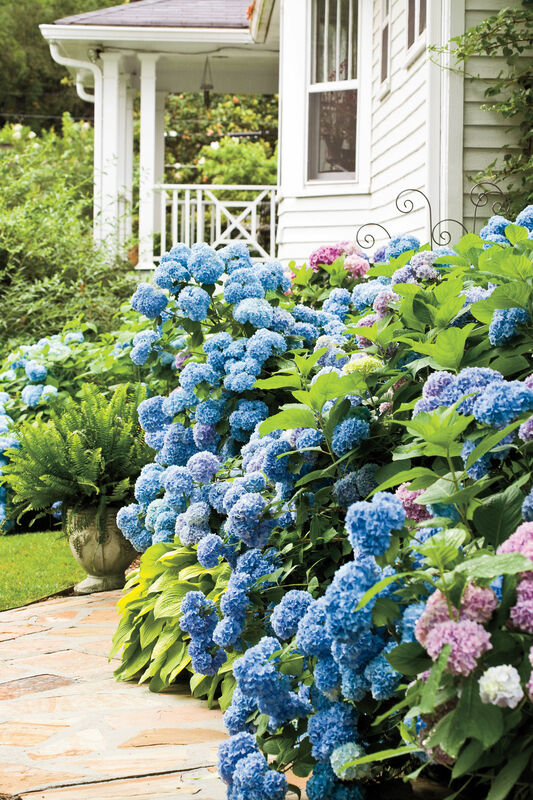 From hydrangeas to arbors, Verla has paid homage to her favorite color. "I even drank some pretty bad wine to get blue bottles for the garden," she says with a grin. Left: A portable cabana anchors the garden and provides a place for reading and visiting. 3. Add interest with variations. Too much of a good thing is bad. Verla works with shades of blue to give her garden depth. From almost white to fiery fuchsia, she groups like colors together to evoke a mood and create rooms that are connected by paths. In other words, put down the shovel, and take time to observe. The best inspirations often come when you live in your space. "My mother could make anything live," recalls Verla, "but her garden never appeared put together." Verla's philosophy: Decide what you want your garden to be, and don't be afraid to dig the first hole. Left: When Verla Ledlow is not weeding, she's reading. Time spent relaxing in a garden can be just as important to its development as time spent digging.